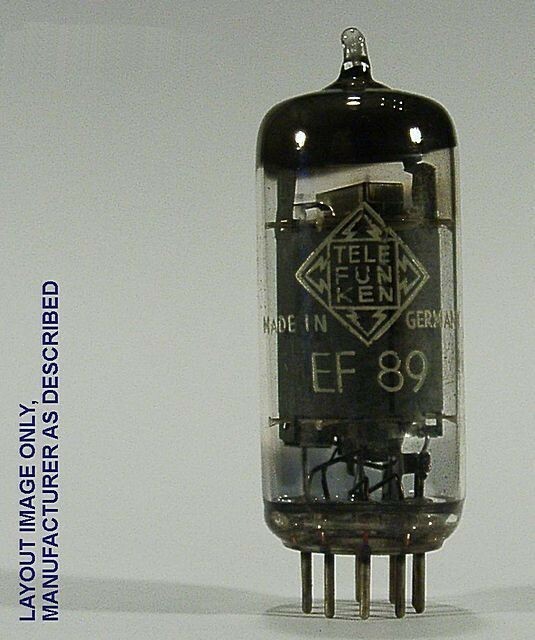 ● for your choose of EC, EF or alternative radio tubes please use our advisor, too. Make sure that our item no. 78 is the right for you. With this supply of an E radio tube we offer an item in pristine condition with perfect function. Please note this tube ID 78 was not tested with a tube tester like e.g. a Funke W19. So we can predict only function properly of this item no. 78, but not compliance with certain characteristics. If you are not satisfied contrary to expectations with this German Radio Tube / Vacuum Valve EF89 Valvo ID78, we will in any case try to find a solution that meets your requirements. You can check our tube no. 78 without any risk. with item no. 78 you will receive an item in best shape and function. first in April 2004 this item 78 was attached to our stock.